good job – also ’cause all other editors/librarians are years old (and not entirely working) – what’s yr ETA ? 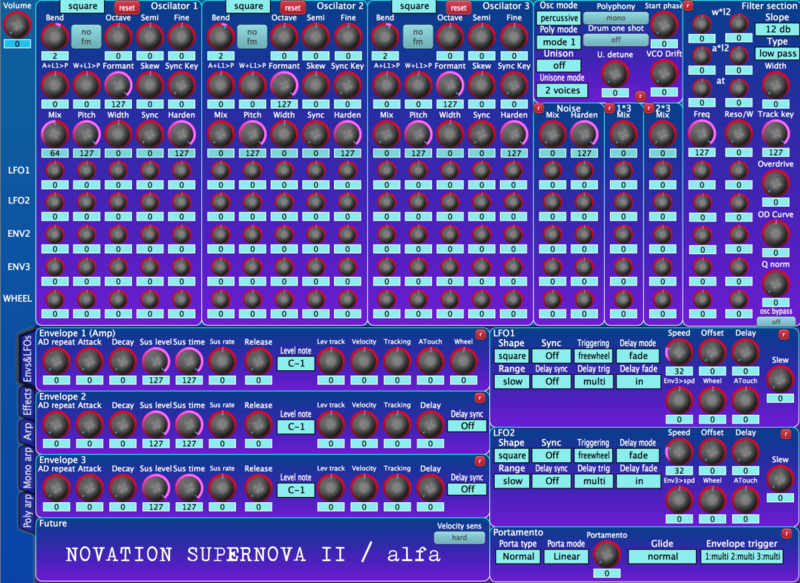 i have the sysex chart, novation send it to me, i was writing a max/msp editor but let down long time ago. you want it? I’d like a copy if possible? I have manual for v2 OS and that has the NRPN tables but hoping what you have contains a bit more info. hello does this work with supernova/nova too?